Ash Vale Wrought Iron - Blacksmith/Ironwork based in Ash, Hampshire. 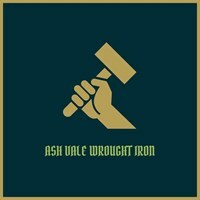 Ash Vale Wrought Iron is the third generation of a family run mild steel fabrication business. With over fifty years successful trading to call upon, we manufacture our work to the highest standards. We will only complete your order once you are satisfied with the finished product. You will find us very approachable, giving you ample time to discuss your enquiry to ensure that we understand your requirements. As we work from our own premises our overheads are very low and with out the burden of charging VAT our prices are extremely competitive. Based on the borders of three counties, we are ideally situated to service Surrey, Hampshire & Berkshire's commercial and domestic markets. Hot Dip Galvanise, Powder Coat, Wet Spray & Painted Finishes.